The museum currently has eight compactus sliding units, with five shelves each, and portable trolleys in the main section of the museum for research purposes. 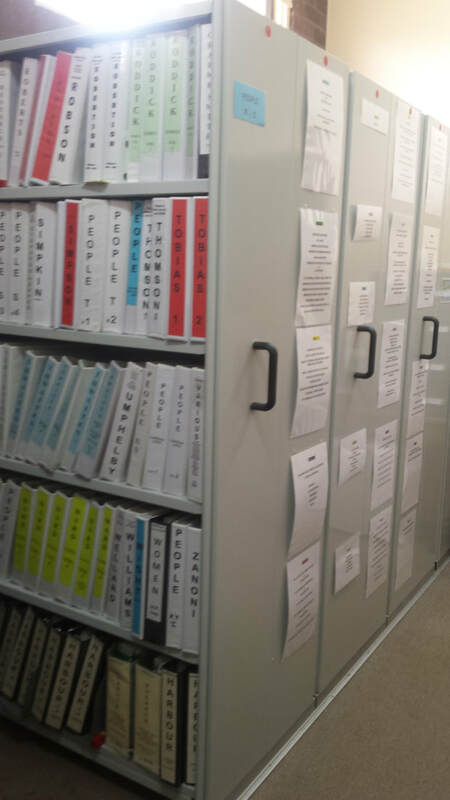 Original documents are stored separately including maps, photographs and rare books. ​Below is an alphabetical listing (index) of items held within the compactus. The numbers indicate how many folders are available. Topics in red denote significant information, however this does not include books in the library, large maps, images.